I’m quite the baby when it comes to spicy food but every year I decide to grow jalapenos and then feel guilty if I don’t use them. I had a few that turned red which means they need to be picked. 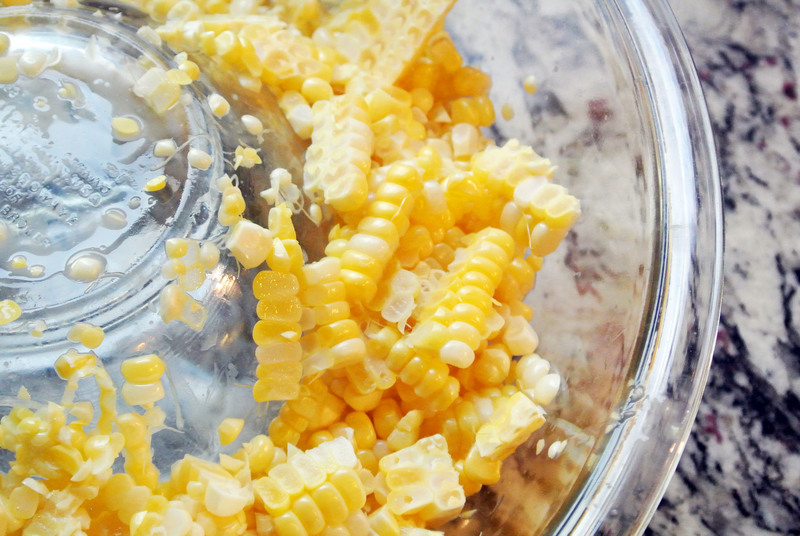 I also bought some extra corn at the farmers market (25 ears to be exact – well, 20 of them are laying around waiting to be turned into corn relish) – so, what’s for dinner? Some Great Lakes Whitefish and roasted corn with jalapenos. My hubby and I had an amazing corn side dish at Michael Jordan’s restaurant downtown a few weeks ago. This isn’t the same (I have no idea what they’ve got in theirs) but it has the same yummy, sweet, salty, buttery, balance of flavors with a little kick! Update 7/6/18 : I’ve since modified this recipe and it’s primarily the same but more yummy. 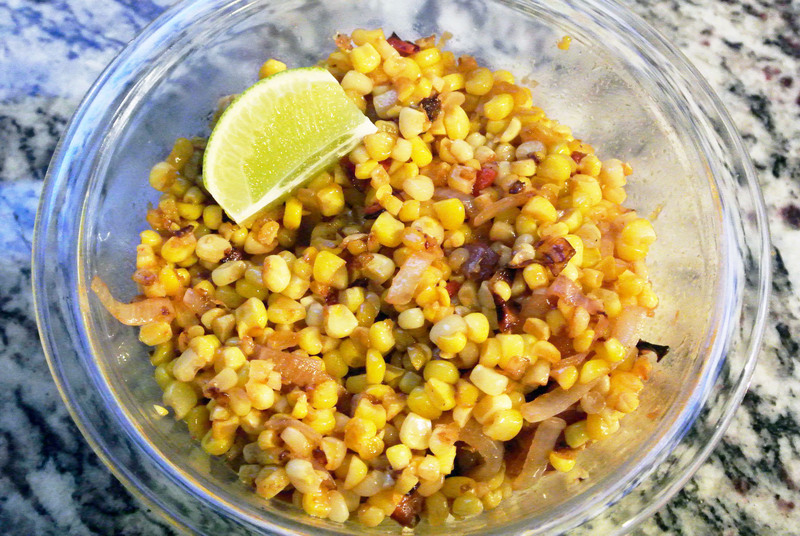 We made it last night with the first corn of the season (from the grocery store as Michigan corn isn’t ready yet) and jalapenos from our u-harvest CSA – Raindance Organic Farm! Add 2 tbsp of oil to your pan along with the onions and jalapenos. Cook on medium heat for a few minutes until the onions are softened. 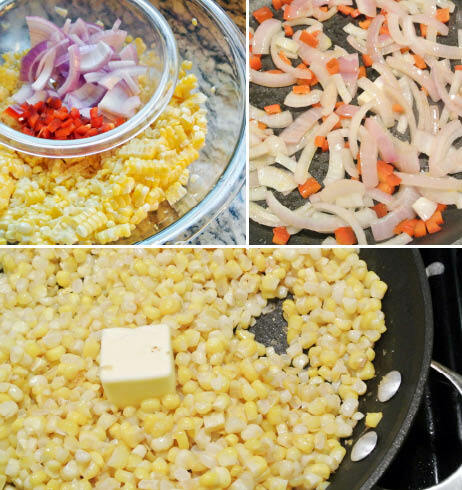 If your corn is not cooked, transfer your cooked onions and jalapeno to a bowl and add corn and butter to the pan. Saute on medium/low heat for about 5-7 minutes to cook the corn (you can skip this step if your corn is already cooked). 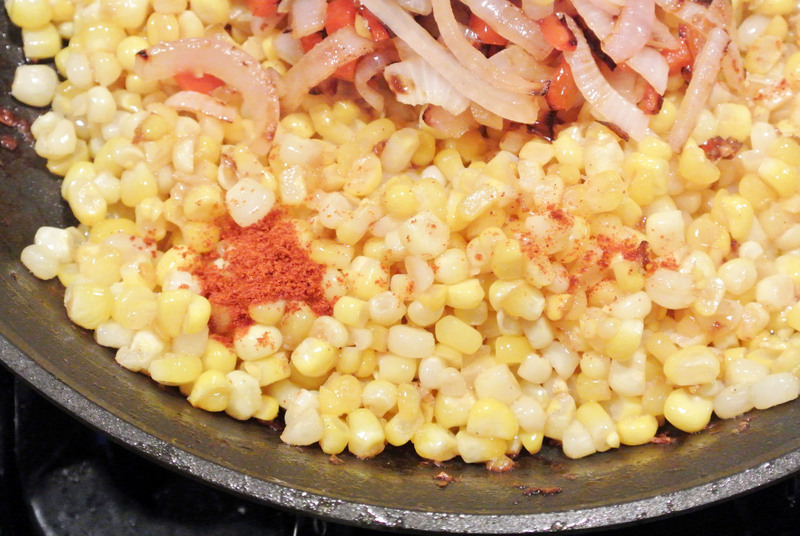 Add the onion/jalapenos and cayenne pepper to the pan (or if your corn is cooked, add it, butter, and cayenne to the pan). Turn the heat to medium/high and saute for 2-3 minutes (or until you feel like everything is browned to your liking), stir regularly. 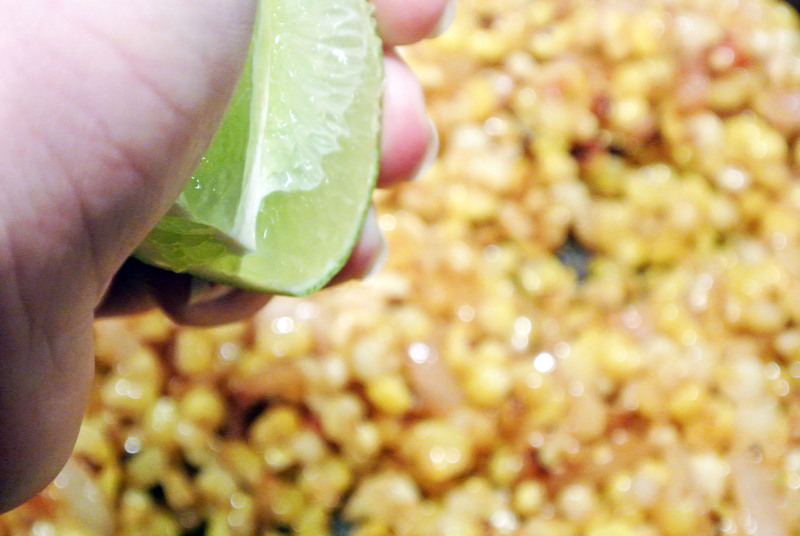 Once browned, transfer to a serving dish and dress with the juice of 1 lime. Enjoy!